This Show is based on the tale of Sameer & Meera who had been childhood lovebirds directly from the school days. They both belong to exceptional families & have lived an extraordinary lifestyle. They each belong to different households & have lived a one of a kind way of life. Sameer is a wealthy child & momma’s boy, whereas Meera comes from a middle-class family & does all her chores on her own. These differences start to creep out between the two & their relationship is bombarded by means of each day battles. The show ended after short run within a year. Initially, it started on 18th September 2017. 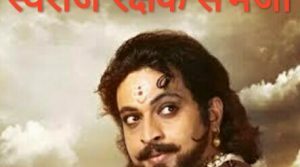 Sainkeet Kamat is a theater artist who got a break at Zee Marathi Serial Ratris Khel Chale as Abhiram. Ketaki Chitale was last seen in Ambat God. She also was seen in Hindi Serial Saas Bina Sasural as Dimple Sharma.